Family businesses sometimes out- last the family. 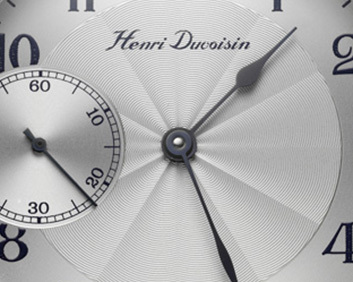 With the passing of André Duvoisin in 2004, however, it seemed that Henri Duvoisin & Co. was finished. And, it would have been, if it were not for an old friend of the family. That, then, appeared to be the end of the Duvoisin story – until, that is, the son of a local doctor, Jean- Dominique Cornu by name, decided to resurrect the company. A client and a friend, Cornu was persuaded by André into taking the reigns of the company. Collaborating with professional photographer Jean-Marc Breguet and gemmologist Sebastien Rousseau, Cornu has sought to maintain the brand’s historical roots, classical tradition, small size and unique appeal. Henri Duvoisin & Co. has recently unearthed movements manufactured by Fabrique d’Ebauches de Fleurier, a factory famed for its production of fundamental movements in the 1920s. 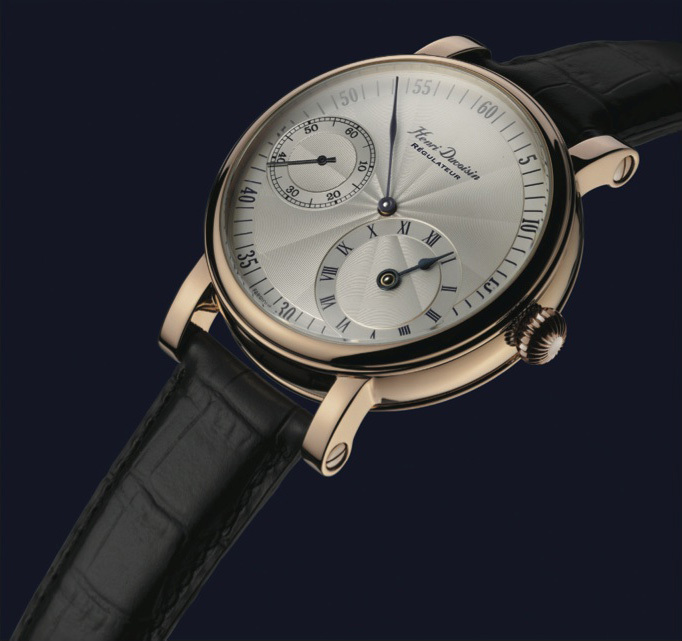 With Rousseau’s experience working with antique movements, Cornu’s team plans to base its company on this tradition. Together they produce two collections: the Classical and the Regulatory, running in limited editions of 35 and 25 respectively. Each comes in either steel or rose gold. ing liberal measures for the well-being of the local workers. Sophie-Elizabeth left the company to her son, André.